PocketWizard Plus II Transceivers - Straightforward, simple to use and easy to attach. By now you probably realise that my kit is pretty old school. You might be wondering if it’s because I am not obsessed with having the latest equipment. The truth is I do get a little gear jealous when I hear about new things coming out but I’ve learnt to use what I have already have to get the job done. This is almost my personal mantra. Sure I’ve invested a lot of money into my equipment, but I’ve also made it all last, and rarely do I ever need any repairs made… Knock on wood! 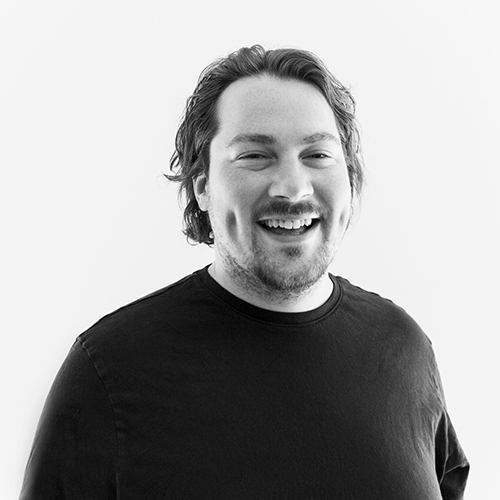 I think it’s important to not have the idea that the equipment will make your portfolio better. With that being said, I always dreamt of having these tasty little units in my kit. I heard so many good things about PocketWizards that I tested them once and purchased them right away. What’s really the point of this story as that, not only is this equipment second hand, it’s also been superseded 2 times, and after a good 4-5 years of personal usage, they’re still going strong! It really just proves once again that you don’t need the latest and greatest, just the right gear to pull off the job. Here is a closer look at a few photographs that I have captured while using the PocketWizard Plus II Transceivers. I’d love to hear what you have to think about it! PocketWizards Plus II is really straightforward, simple to use and easy to attach. What’s important about these triggers is that they can be used for both Canon and Nikon hot shoes. I have mostly used them from close range for portraits, product photography and other still life scenes where my results have been only good. I set up a test specifically looking at the distance and even tried a test where I walked down the street from my apartment and could still set them off from about 150m away before it started becoming intermittent. It’s said that a clear line of sight should give you up to 500m in distance from one unit to the other. It was a really awesome kind of power knowing that trigger could send a signal so responsibly. I would love to combine these awesome triggers while flying in an aircraft and setting them off from a great height, but that’s for another day. One small, yet tedious limitation to using these transceivers is that if you’re purchasing them separately and second hand like I did, you need to make sure that you check each unit has the same country origin. I believe the chip inside different models released in various regions talk to one other and of course some not at all. So you have been warned! Either way, just ask the seller or salesperson to make sure the units will pair together depending on what you already have. The power is supplied to the unit by 2 AA batteries. So let’s look over a few of the more finer details. 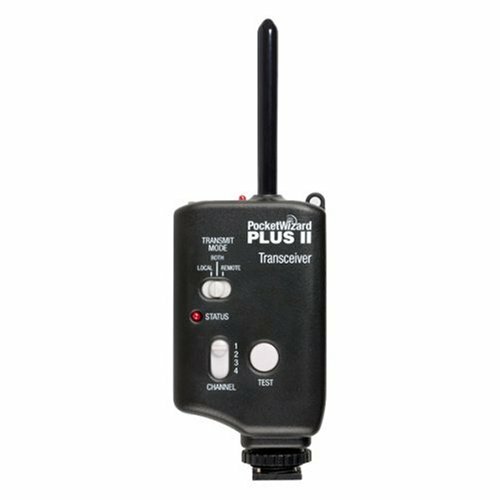 The PocketWizard Plus II Transceiver system does more than cut the cord, this beauty can use its advanced wireless technologies to transmit four 16-bit digitally-coded channels. This can be extremely handy if you decide to start growing your artillery into a family sides set up. These types of systems aren’t uncommon either, imagine creating a gigantic scene with external flashes firing from all angles, you could create some serious damage. For a more practical point of view on this system, it could be used when working in ‘crowded’ environments. If you’re looking for a more burs fire approach, you’ll be glad to know that it’s chip can handle up to 12 frames-per-second, which outpaces most currently-available cameras, pro or otherwise that need external lights connecting directly to a DSLR wirelessly. Using microprocessors allow a top sync speeds from 1/250th & 1/500th all the way to 1/2000th of a second. This compact unit communicates to its full potential with a short, unobtrusive, rubberised antenna. This part of the transceiver could not possibly snap unless something extremely violent overcame it. The full height of the device and antenna is under 6.5” and weighs in at 170g with the batteries loaded. To ensure a secure fit to your camera or bracket, the transceiver features sturdy locking rings for hot shoes which only need to be done up hand tight. Another precautionary measure here, don’t spin them otherwise they will snap as it’s hardened plastic, unlike the rubber antenna. The power is supplied to the unit by 2 AA batteries, which are good for about 60 hours of playtime depending on the quality and durability. I recommend investing in decent batteries so you don’t have to worry about them dying on you randomly. Alternatively, an optional AC adapter allows you to shoot continuously. I’ll leave you with a few parting notes to make sure this unit is what you’re looking for as some of the simplest features for full compatibility might convince you to choose these or another set altogether. If you have any further questions about the PocketWizard Plus II Transceivers than feel free to ask questions below, I’d be more than happy to answer them and even give me the chance to update and filter the article to make it even more comprehensive. I’d also consider creating a guide on how to use the PocketWizard technology. By using the links in this article you are supporting this blog and my work, all purchases on Amazon go toward maintaining this website.